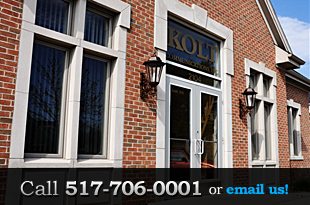 Kolt Communications, Inc. is a privately owned, complete communications firm that has successfully provided communication and media consulting services to a prestigious list of public and private clients throughout Michigan for several decades. Kolt Communications, Inc., is a valuable source of information for many members of the Michigan media, and CEO Robert Kolt is often quoted as a public relations and communications expert in the press statewide. Kolt Communications is committed to providing personal, quality strategic counsel and the firm accepts a limited number of clients.